You will be redirected to DocuSign, a secure esignature platform. we are a diverse network that has members covering 18 different sectors! Welcome to the Birmingham Chamber of Commerce. Birmingham is booming. The city has the largest concentration of businesses outside of London and has welcomed a number of major investors including HSBC and Deutsche Bank, who have relocated their head offices to Birmingham. It is also the youngest city in Europe with under-25s accounting for nearly 40 per cent of its population. And let’s not forget the arrival of HS2, which will place Birmingham at the heart of its network. All of these factors make it a great time to be part of Birmingham Chamber, the largest division of the Greater Birmingham Chambers of Commerce group. Headquartered in Edgbaston, Birmingham Chamber accounts for more than half of GBCC’s overall membership. Birmingham Chamber is open to all businesses and sectors based in the city. Get in touch to find out more about how it can benefit your business. 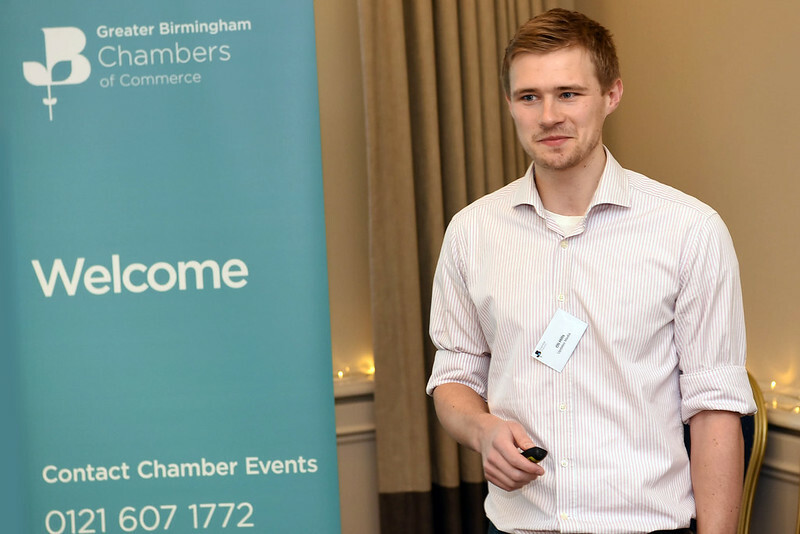 Find out more about us below and if you have any questions please contact: membership@birmingham-chamber.com or 0845 603 6650. Craig HarrisonGeneral Manager / Beeline Promotional Products Ltd.